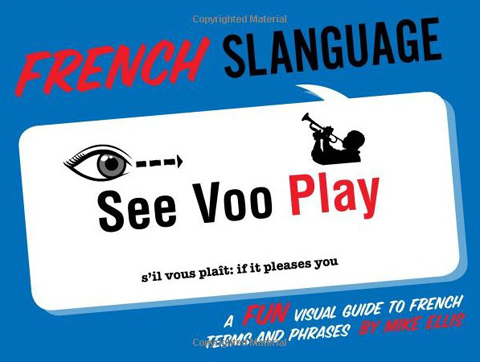 Author/Inventor Mike Ellis brings you French Slanguage A Fun Visual Guide to French Terms and Phrases. It's simple: follow the illustrated prompts and read the English words out loud, and soon you'll be speaking French. This handy, easy-to-read language guide is easy to carry and gives the basic phrases you need while traveling, asking directions, or ordering food at a restaurant. It also includes phrases for medical or legal emergencies, as well as terminology for hotels, airports, and so on. But most of all, it's just plain fun! And soon you'll be talking like the locals in Paris, France!! 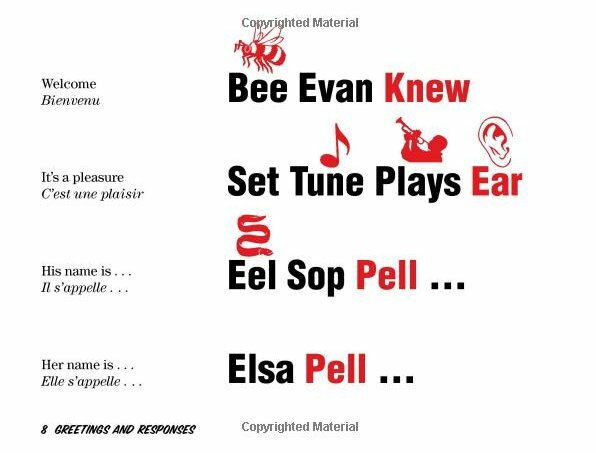 Click on any of the images below to purchase French Slanguage at amazon.com. Couple silly phrases to get you started. Online reviews, whether they are foreign language program reviews or Titlemax reviews, can be very helpful to prospective buyers. Phrases below were requests from slanguage fans. Oui, c'est beau chou chou. Oui. Oui. Il fait beau. Here's a screen shot of my book. 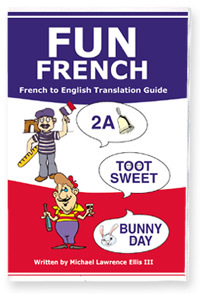 Click here to buy the Fun French book on ebay. The mail order form is below. For directions, all you need to remember is find your phrase on the left. Follow the arrow. Say the Fun French phrase quickly and smoothly with emphasis on the starburst word. 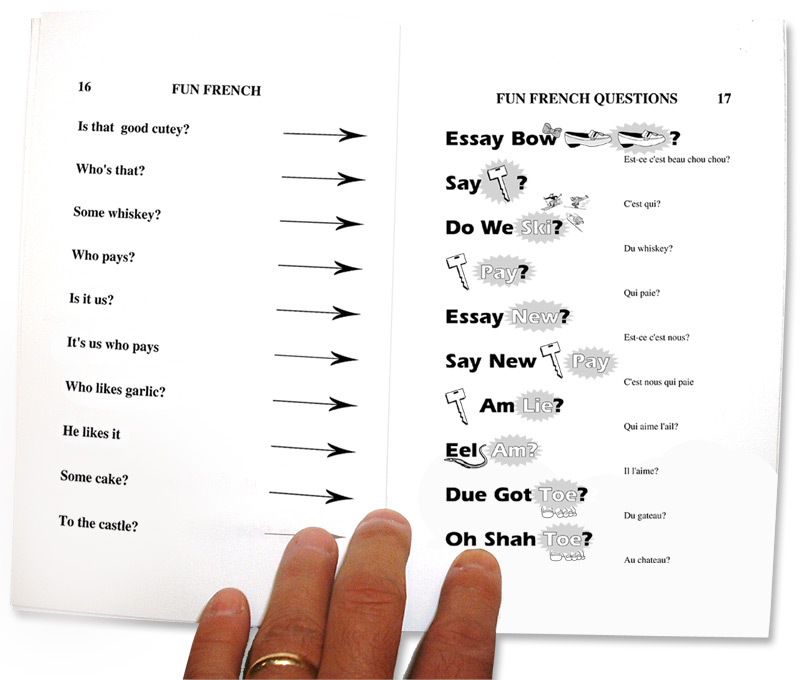 Fun French is the most original method for learning French in the world. 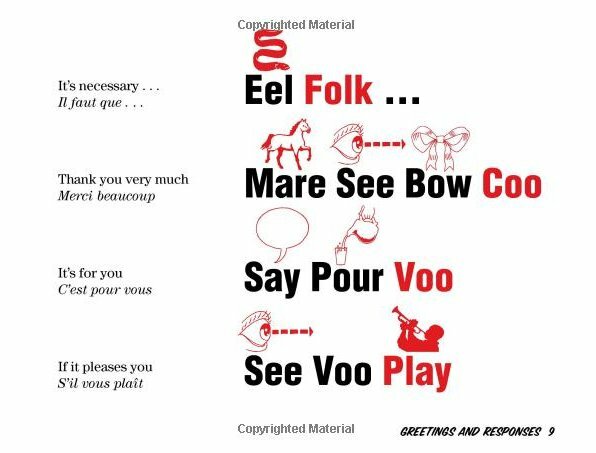 Here are the phrases you'll learn in Fun French. Remember, you can combine and modify phrases to create even more! How did you link to Fun Languages? For example, you did a search from yahoo for "spanish lesson."